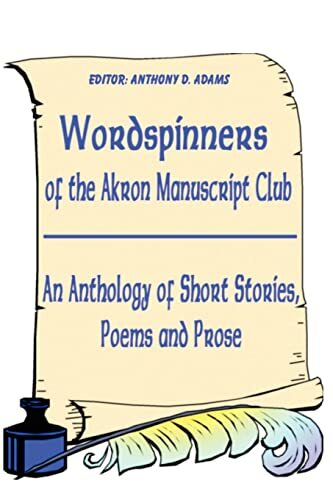 This anthology contains the accumulated works of the members of the Akron Manuscript Club. The subject matter spans many areas from high fantasy to intimate thoughts. The concepts of the authors are revealed in the form of short stories, poems, and prose. The writers hope the works held within these pages provide both enjoyment as well as thought provoking concepts to the reader. The editor of this anthology was Anthony D. Adams, with the invaluable assistance of Valentina Ranaldi-Adams, in the areas of communication and manuscript assembly. The editor also wishes to express his thanks for the authors hard work in the creation of their contributions. The Authors:Anthony D. Adams, Helen Backus, Tyler Roy Baldridge, Bob Barrett, Ken Blackerby, Lyn M. Broach, Rae Hallstrom, Jane Hessin, Nathalie Ketterer, Olga B. Kurtz, Vivian M. Preston, Stanley K. Sandage, Helen Vanderark, and Carolyn A. Weldon.